Our hardwood heating pellets are made from quality hardwood chips and sawdust to ensure that your pellet stove performs at its peak. 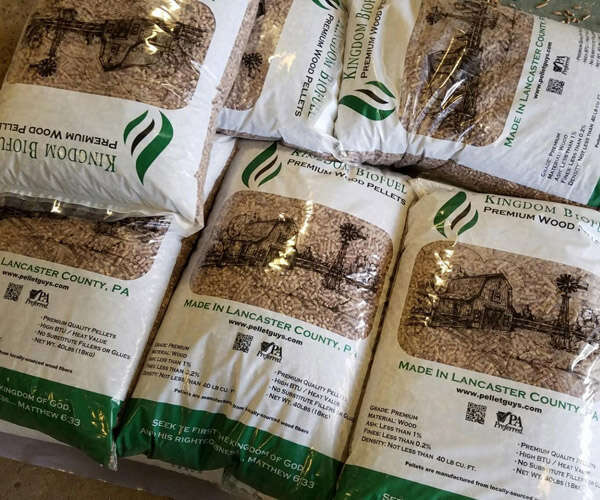 Each pellet is manufactured with the same consistency so that you don’t need to continually adjust your stove settings when you regularly purchase our hardwood pellets. Hardwood heating pellets burn hotter and leave less ash to clean up when compared to most firewood. You’ll also be spending less time cleaning out your chimney. 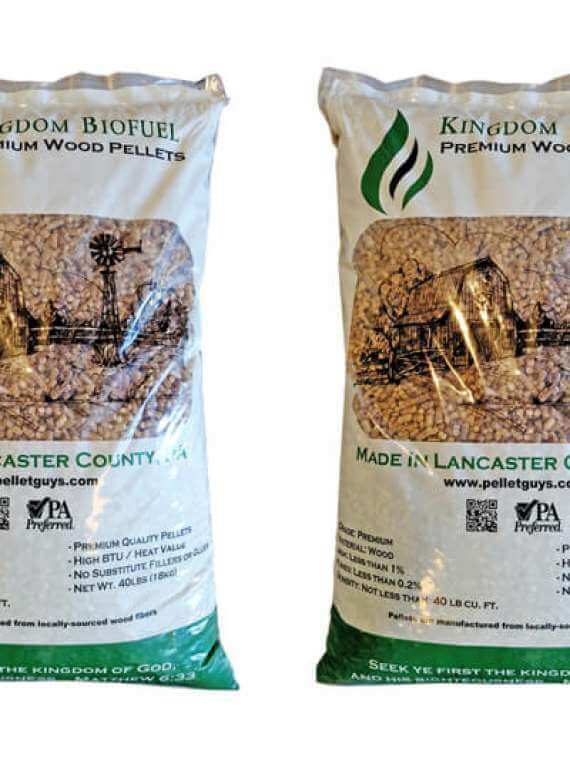 Choose between hardwood bagged pellets and hardwood pellets in bulk. The question about hardwood vs. softwood and which is better is determined less by the wood species used to make the pellet and more by the quality of the machines used in manufacturing. This can vary significantly from one pellet mill to the next. While hardwood firewood is denser and burns longer than softwood, this is not necessarily the case with pellets for heating. Hardwood and softwood pellets are manufactured at the same weight per cubic foot and have similar BTU outputs. When deciding whether to burn hardwood or softwood pellets, you may want to experiment with your existing pellet stove or boiler to see which works best in your situation. Depending on your burner, you may find that either hardwood heating pellets or softwood pellets burn more cleanly and efficiently. The evidence of a clean burn is little ash remaining. Bagged Hardwood Pellets have been a mainstay for many folks who love to use pellets for heating. 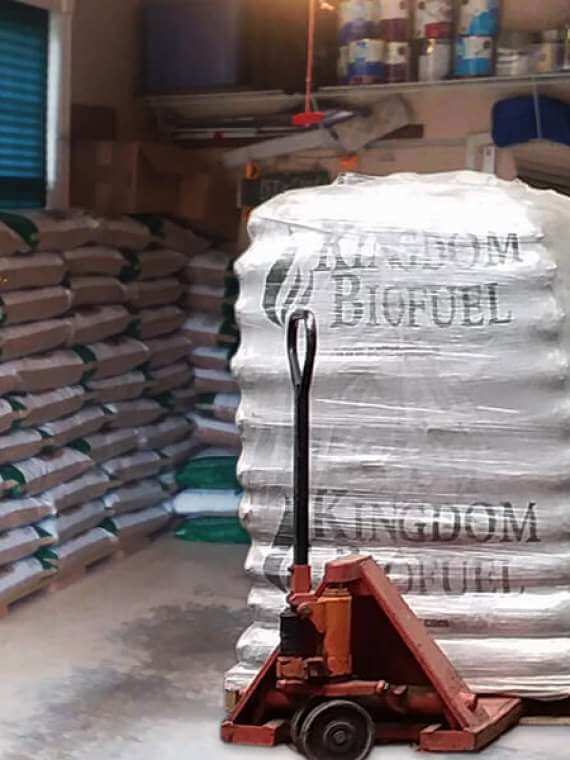 When you choose Kingdom BioFuel hardwood pellets in bags, you can be assured of a super premium quality pellet with more heat and less ash. 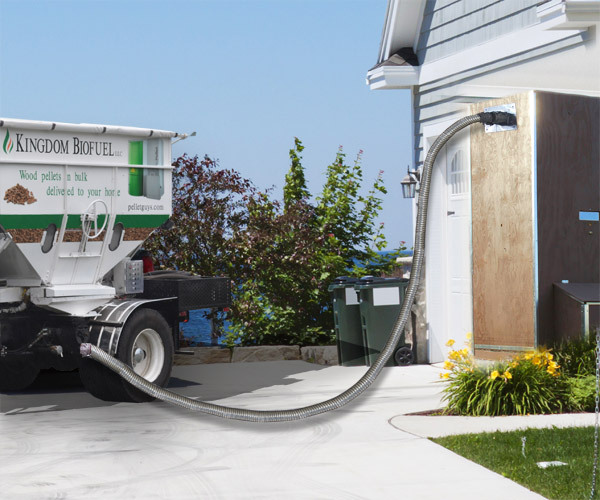 Bulk is the next wave of Heating with Pellets. 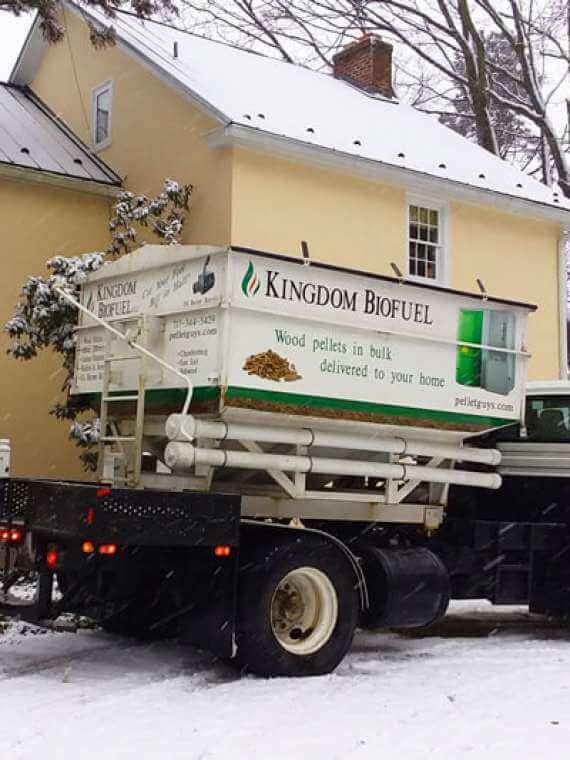 When you choose our Bulk Hardwood Heating Pellets our delivery truck can blow the pellets directly into your bin or into a FREE Super Sack (first purchase only). Discover 20 Reasons to Switch to Bulk. What is the dust content in your pellets? Do you have suppliers in my area? Depends where you live. We have a number of dealers in PA, MD, NJ, and DE. Our dealer list changes every year and we try to keep it up-to-date so you might want to call the supplier listed here before going to their location. You can make your life easier by buying in our store and having the pellets delivered to your location. Do you also sell firewood? As of 2018 we also sell firewood by the cord. One cord of split firewood fits on a pallet. Firewood can be delivered to your home or business and with our firewood mover be placed so you have easy access when you need it most. Please note that our firewood is not seasoned, so you will want to purchase it early to give it time to properly dry. Our firewood is great for camping, heating or pizza ovens! Better yet… Try our Kingdom Enviro Brick as a replacement for Firewood. This product is made from recycled kiln-dried sawdust and shavings and burns cleaner with less ash than regular firewood. How do softwood pellets differ from hardwood pellets? It depends on the pellet mill producing it. If you compare softwood firewood with hardwood firewood there is a big difference in BTU’s per cord of firewood. But since softwood pellets are compressed at a very high-pressure point, they both produce similar amounts of BTU per ton. Some studies have even shown softwood heating pellets to burn better.